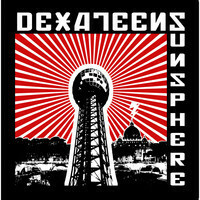 A minor Southern musical institution for more than a decade, it would be disengenous to say the Dexateens are back based solely on their latest release, Sunsphere. Released today, the eight-song EP was recorded in a weekend flurry in 2009 — the same year of their last LP (Singlewide) and subsequent hiatus. Despite band member involvement with other projects (Lee Baines and the Glory Fires, Drive-By Truckers, etc. ), a new album, Teenage Hallelujah, is slated for 2014 and the band recently played shows including an opening slot for Alabama Shakes. So hell yeah, it looks as if the Dexateens are back! The quieter moments from Singlewide surface on such tracks as “Calico” and “Broken Objects,” yet feel more organic with every band member contributing to the overall sound and feel. As if foreshadowing the band’s pending inactivity, the bellbottom swagger of “Foxhole Rock” could just as easily be the mantra for the band’s resurgence, kicking open a sonic door that signals the boys are back. Both blatantly raw like a wound needing licked and as tender as a nuzzling snout, Sunsphere sets a high bar for the Dexateens to surpass come 2014. Stream Sunsphere below and purchase the album and related Dexateen goods via Cornelius Chapel Records.